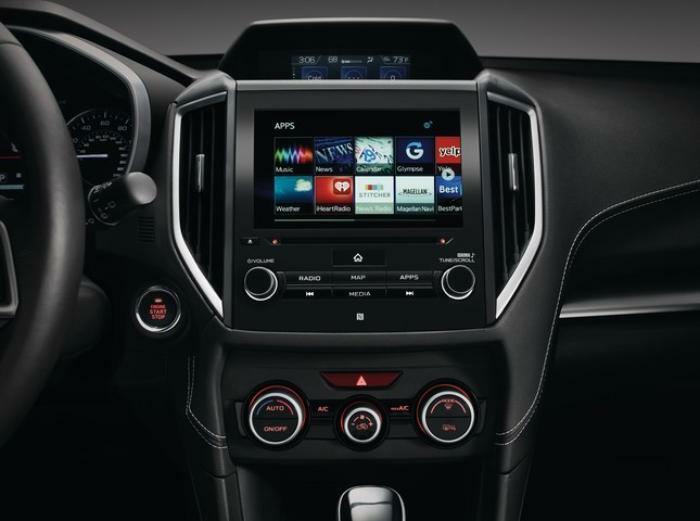 Subaru has updated its Starlink infotainment system to include eight new apps, including one of potential interest to birdwatchers. Drivers can see information from the Cornell Lab of Ornithology through eBird -- an app that displays information on bird sightings and provides an interactive coach to help guide users to areas where the birds are. Other additions to the multimedia system are similarly focused on helping steer users toward areas of interest. Along with eBird, apps added include Magellan Navi, Best Parking, Yelp, Glympse, RightTrack, Tweddle Quick Reference Guide, and Wcities’ "eventseeker." Using the Yelp app, drivers can find food and business reviews while on-the-go. Glympse lets users share their location and estimated arrival time with friends. Best Parking, as its name suggests, helps drivers find a good place to park. RightTrack. An app by Liberty Mutual intended to help drivers lower their insurance rates via driving habit monitoring and tips for safer driving. eventseeker. An app that lets users explore local events such as music, sports, and date-night activities. Magellan NAVI. A cloud-based navigation system (included free with the 2017 Impreza for three years). Quick Guide. A digital version of the vehicle’s owner’s manual. The eight new apps are available on the 2017 Impreza and 2016-17 BRZ sports coupe. Subaru says they will be available on additional models soon.